The Warchief’s Command Board is the ongoing blog of Horde Warchief Garrosh Hellscream. In it, the Warchief shares his daily thoughts and experiences with minions, fans, and foes alike, often incorporating transcripts of his more memorable conversations and web comics created by one of his trainees, Gurtash (see below). 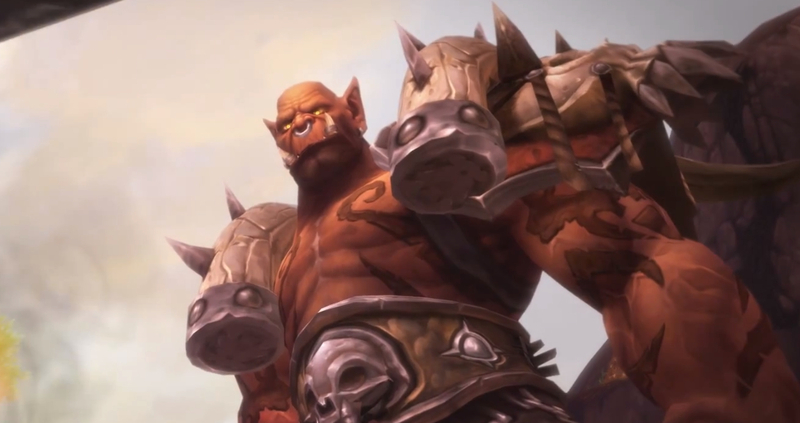 Yes, in the world of the blog, Garrosh is still Warchief, and Orgrimmar has not yet come under siege. 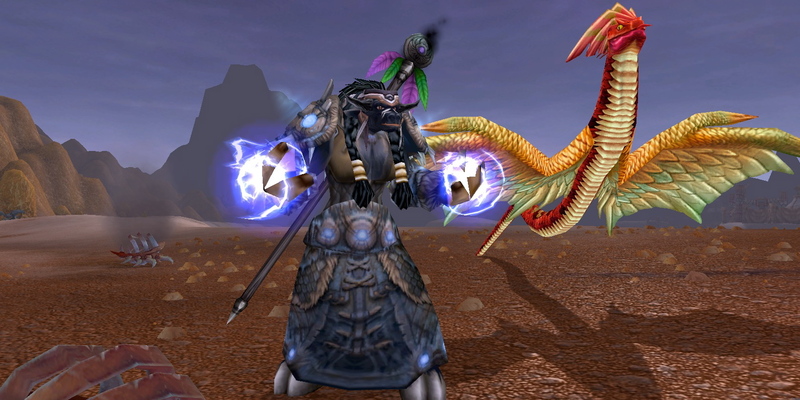 Currently, events of the blog are unfolding within the Patch 5.2 timeframe. (Yes, running a bit behind game events — I’m working on it as quickly as I can!) For a few more quick catch-up notes, see this cheat sheet, or this (more detailed) account of some of the blog’s major storylines! GARROSH HELLSCREAM: Son of Grom Hellscream and acting Warchief of the Horde, appointed by Thrall upon his departure prior to the Cataclysm. At the suggestion of Eitrigg, Garrosh started writing the blog to work out his thoughts and share some of his ideas with his Horde citizens (and, begrudgingly, certain members of the Alliance). He’s demonstrated a surprising affinity for poetry – or as he calls it, EPIC VERSE – although, as it turns out, he was writing it long before the blog. The Warchief has recently discovered the world of online gaming, in particular a postapocalyptic fantasy game called Earth Online, where he is guildmaster of <Warchief>, a guild populated by several of the blog’s regulars. He also loves lemon squares and responding to mail from his readers. 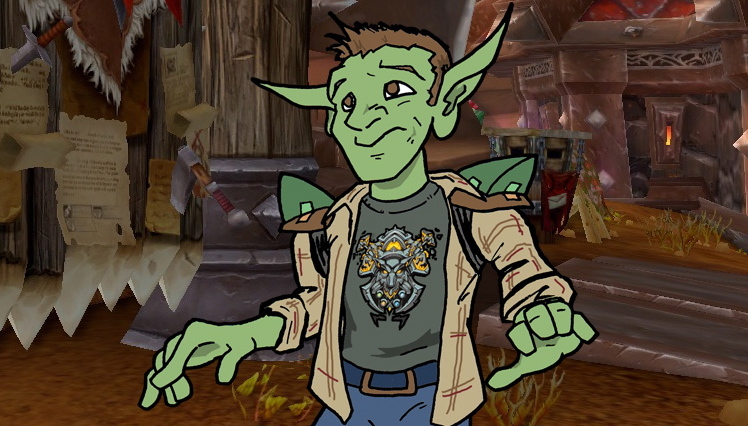 SPAZZLE FIZZLETRINKET: A goblin shaman from the Bilgewater Cartel and Garrosh’s de facto tech guru. He’s frequently called upon to help Garrosh maintain the blog and deal with various technical issues (such as deleting), and has occasion to post on the blog himself a number of times. For much more on Spazzle, see his profile here! MORTIMER: Oh, what a long, strange, unexpected trip it’s been. Originally a military wyvern assigned to bombing runs in Ashenvale, Mortimer’s first encounter with Garrosh led to his reassignment to the Winterspring-Silithus flight route. He was freed by D.E.H.T.A. agents, only to be retaken by the Horde for flight duty. 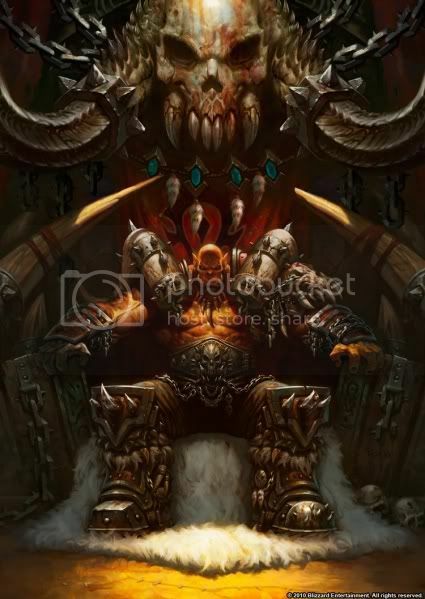 Eventually, after saving Garrosh’s hide on more than one occasion, he and Garrosh managed to bond, and he has been a regular companion of the Warchief ever since. DONTRAG AND UTVOCH: A seemingly inseparable pair of orcs whom Garrosh initially encountered in Ashenvale. The duo would play a role in the Warchief’s investigation of Krom’gar’s activities in Stonetalon Mountains. Long on words and short on wits, Dontrag and Utvoch (sometimes referenced as “D&U” for short) have continued to crop up in Garrosh’s activities since then…often to Garrosh’s chagrin. For more on D&U, see their profile here! MOKVAR: One of Garrosh’s aides from Grommash Hold who’s called in on occasion for missions in the field. Most notably, he was ordered by Garrosh to train up Inscription, and since then has become the Warchief’s personal scribe, recording transcripts of various key conversations and interrogations. His current whereabouts are unknown, as a series of strange events led to his flight from Orgrimmar and banishment from the Horde. DR. EDWIN FARANELL: Master Apothecary of Sylvanas’ Royal Apothecary Society, former wizard of Dalaran, and owner of an eidetic memory and unrelenting sarcasm. Garrosh first encountered Faranell while investigating a mysterious anti-plague effect that was killing Forsaken; their mission would eventually take them to old Southshore, ten years in the past, where Faranell would set in motion a disruption of the timeline that would nearly bring about the ruin of Azeroth. So, oops. GURTASH: A 15-year-old orcish boy from the Orgrimmar orphanage. Gurtash wrote to Garrosh after the Warchief paid a visit to the orphanage for Winter’s Veil, offering to help take care of Mortimer. Garrosh took Gurtash up on his offer, and since then the boy has relished his opportunities to enjoy the company of his favorite wyvern and his newest orcish hero. More recently, Gurtash has begun training for future military service under the Warchief himself as part of a small team of top trainees — who have named themselves the Dead Peons Society. Along the way, he has also demonstrated some artistic ability, which prompted Garrosh to give him an extra part-time job recording his own version of Mokvar’s transcripts. LADY LIADRIN: Leader of the Blood Knights of Silvermoon. Liadrin first met Garrosh while accompanying him to old Hillsbrad, and would go on to play a major role in the Warchief’s exploits in an alternate timeline in which she had assumed command of the Argent Crusade. She recently began helping Lor’themar Theron coordinate the influx of Horde refugees from Dalaran, which has led her to Orgrimmar for heretofore unknown reasons. MAGATHA GRIMTOTEM: As far as the blog is concerned, Garrosh’s arch-nemesis — the Doctor Horrible to his Captain Hammer, if you will (or…vice versa? or not?). Shortly after the Cataclysm, Magatha manipulated Garrosh into killing Cairne Bloodhoof in a duel, then found, to her outrage, that Garrosh was less than eager to lend her aid in her subsequent attempt to seize power in Thunder Bluff. Since then, she’s schemed with the Twilight’s Hammer cult to kidnap Garrosh to use him as a living vessel for the cult’s failed attempt to resurrect Cho’Gall. She later tricked Garrosh into thinking his mother was still alive, just to subject him to seemingly watch her die again. No surprise, Garrosh is not a fan. ARCH DRUID LATHORIUS: Leader of D.E.H.T.A. (Druids for the Ethical and Humane Treatment of Animals) and an unlikely sometimes-nemesis sometimes-ally to Garrosh. Lathorius (or “Lather-on-us,” as Garrosh often calls him) has made a number of contributions to Garrosh’s mailbag, and one noteworthy appearance at Grommash Hold, in which his attempt to “liberate” Mortimer didn’t quite go to plan. BOB: We would be remiss not to mention him, at least. Bob has been a regular contributor to Garrosh’s mailbag since its inception. This frequent correspondent from the Echo Isles seems to take great pleasure in winding up the Warchief, often drawing on some rather familiar tropes to do so. If you go all the way back to his first letter, in Garrosh’s inaugural mailbag, you might get a notion of who he might really be. It should be pretty obvious, but here’s the obligatory disclaimer: This blog is a work of parody. Names, places, and characters from the World of Warcraft universe — most notably the character of Garrosh Hellscream — are used here for comedic effect. I thought it might be fun to write in character as Garrosh, and use him as an off-kilter lens through which to explore the world of Azeroth. I hope you have as much fun reading the blog as I do writing it. Feel free to contact your “Warchief” at garrosh1337@gmail.com. Rest assured that your e-mails, comments, and feedback of all sorts are welcomed and appreciated. One additional note: I make it a point to try not to break character in the blog (other than occasionally shifting from the character of Garrosh to that of a guest poster like Spazzle), apart from a few very rare exceptions. You won’t see me posting as myself within the main text; this “About” page is the only place where I’ve given myself license to do so. (I’m Averry, by the way — Kargath-US, Battletag Averry#1116. Nice to meet you!) With that in mind, feel free to use comments on this page to post questions or responses that might not seem fitting for Garrosh himself, or, hey, just to say hello to the man behind the curtain – I’ll try to respond when I can.